Roof gutters can collect a lot of dirt and debris — from fallen leaves and pine needles to sand and grit. Accumulation of these things can ruin your property in several ways. When water collects on the trough, it could serve as a breeding ground for vectors of diseases like mosquitoes, in addition to encouraging the growth of mold and weeds. Furthermore, by preventing rain from being properly channelled away from your home, your outer and inner walls could also suffer water damage over time. This is where gutter guards from Superior Remodelers come in. As one of Connecticut’s most trusted suppliers of high-performance building materials, we provide our clients in Newtown a variety of gutter guard systems to help them protect their property and minimize risk of injury. 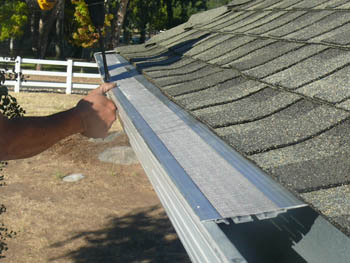 Gutter cleaning can be a dangerous task when climbing is required to reach elevated areas. By minimizing the amount of dirt and debris that collect in your rain gutters, our gutter guards also reduce the frequency with which you have to clean your gutters, making them an attractive alternative to DIY or professional gutter cleaning. Superior Remodelers brings to you the next-generation products from Gutterglove, maker of advanced gutter guard systems with patented debris-deflecting technology. Exceptionally durable and long-lasting, Gutterglove products have been recognized by Consumer Reports as the number 1 gutter guard systems the industry has to offer. Even the U.S. military has selected Gutterglove to be a key component in the organization’s green building projects for government-owned properties all across the United States. Moreover, Gutterglove is also the brand of choice for people who build rainwater harvesting systems. Thanks to their fine steel mesh, Gutterglove gutter guards allow only water that is free from leaves, twigs, pine needles, grit, and other debris from being captured for storage. If you are interested to find out more about Gutterglove or other items from our inventory, please don’t hesitate to visit our showroom in Newtown, Connecticut. You may also contact us by sending us a message or by calling as at 888-330-8148. 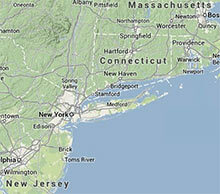 Superior Remodelers also serves clients in New York, Northern New Jersey, Rhode Island, and Massachusetts.